Help! My Ring is Stuck on my Finger! Engagement and wedding rings are perennial jewelry; meant to be worn through time and changing seasons as symbols of eternal love and loyalty. However, age, weight, temperature, and other circumstances can cause problems for those wearing rings. It’s not uncommon to hear about a ring getting stuck on knuckles or cutting off a person’s circulation because it’s gotten too tight for the wearer. How does one address this problem without destroying the ring? Below are three practical do-it-yourself tips that may help. 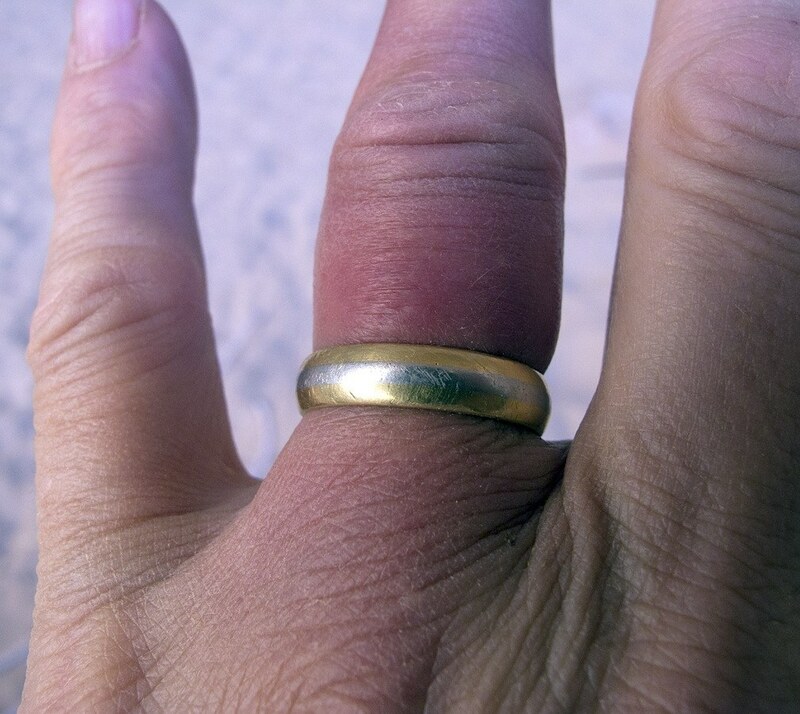 Many people notice that in hot weather or during the afternoons, their ring feels tighter and become more difficult to remove. High temperature causes body parts to swell (which is why it’s best to buy shoes in the afternoon because your feet would have swollen to their maximum size then). So it’s only practical to try to lower your body temperature in case your ring is stuck. You can do this by taking a brisk walk if it’s cold outside; just long enough to loosen your ring as your finger’s circumference decreases in size. You can also take a quick, cold shower or stick your hand inside a freezer for a few seconds until you feel the ring loosen. Use lubrication to slip the ring off. While most moisturizers and slippery substances are bad for precious metals and stones, an emergency such as this can warrants their use. You can use petroleum jelly, hair conditioner, body lotion, or baby oil. Lube up from the knuckle to the area where the ring is stuck, making sure to twist the ring around your finger as you do so. This ensures you get some of the lubricant underneath the ring, as well. Then gently slide the ring on the lubricated finger, twisting gently when you reach the knuckle (add more lubrication as needed), before pulling it off the finger completely. Coax it off with a dental floss. Dental floss can become a handy tool to remove rings stuck on fingers, as its waxy coating can help slip it off. It’s also flat and thin enough to thread under the ring. Do this, and then wrap the floss around your finger up until the knuckle. Make sure it’s a snug but not a too-tight winding as this can cut off blood circulation. Try slipping off the ring by sliding it over the floss-wrapped area, or carefully unwind the floss from the bottom part of your finger so it moves the ring up to the knuckle. Doing these things instead of asking a jeweler or an emergency room attendant to cut off the ring can save a precious piece of jewelry. However, if you have tried the above methods (plus others we have not listed) we strongly urge you to visit your local jeweler. Most jewelers can salvage the ring once they have cut it off so that it can be worn again. Did we miss any methods you have heard of or tried before? We welcome all to post any suggested methods or comments.